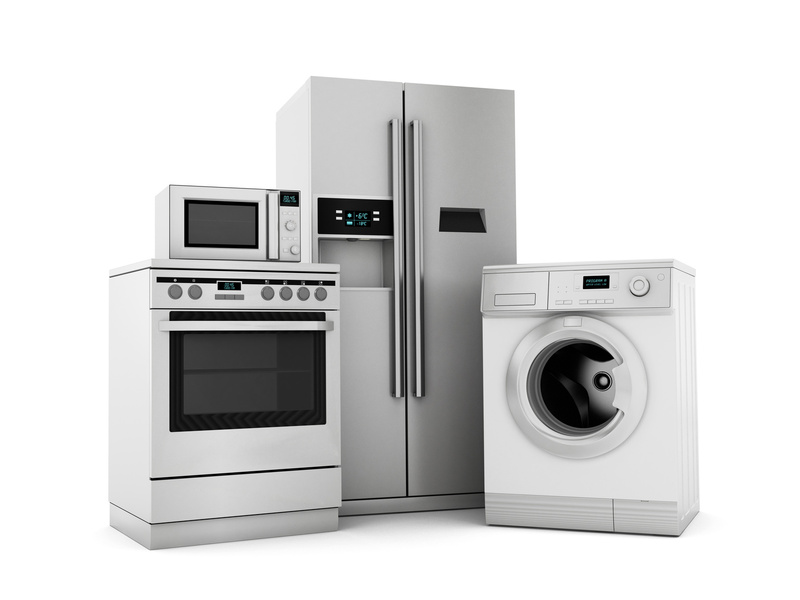 Doug Smith Spares can help you with parts and accessories for all manner of household appliances. We stock Appliance Spare Parts for over 100 brands! Doug Smith Spares can help you with parts for Commercial Appliances such as Commercial ovens and stoves, Warmers, Commercial fridges, pizza ovens, mixers and Glasswashing machines. AEG is home appliances brand originating from Germany all the way back in 1883. In the modern world the brand name “AEG” is now owned by Electrolux, for which we are an Authorised Distributor. Ariston is an Italian appliance brand founded in 1960, and is a part of the Arist group, one of the leading worldwide appliance manufacturers. The Arist group also consists of the brands Indesit, Scholtes, Capital, Atika, Tisira, Midea, which we can also supply. Asko Appliances AB is a Swedish company producing household appliances such as refrigerators, dishwashers and washing machines. 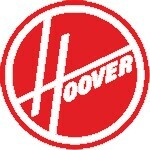 They were founded in 1950, and serve a worldwide market. Beefeater is a Barbeque brand owned by the Electrolux group, for which we are an Authorised distributor. Electrolux also sells the brands AEG, Westinghouse, Simpson, Chef, Dishlex, Volta, Kelvinator and Beefeater. Beko is a popular new brand out of Turkey, and is making big waves in the Australian market. We are an Authorised distributor for Beko parts. Beko was founded in 1967 in Istanbul, Turkey. Blanco is a home appliance brand founded in Germany in 1925, focusing on European styled appliances and quality German craftsmanship. Bosch, is a German multinational engineering and electronics company that makes household appliances for the international and Australian market. Chef is a very old home appliances brand in Australia that is still going strong. The Chef brand is owned by the Electrolux group, for which we are an Authorised distributor. Electrolux also sells the brands AEG, Westinghouse, Simpson, Chef, Dishlex, Kelvinator, Volta and Beefeater. Delonghi is an Italian small appliance manufacturer based in Treviso, Italy best known in Australia for its kitchen appliances and coffee machines. Dishlex is a brand of Dishwashers sold in Australia. The brand is owned by the Electrolux group, for which we are an Authorised distributor. Electrolux also sells the brands AEG, Westinghouse, Simpson, Chef, Dishlex, Kelvinator, Volta and Beefeater. Dyson is a premium vacuum brand whose interesting devices can be found all over Australia in houses and businesses. Everdure is an older brand with various appliances still floating around the Australian market, including cooktops, ovens and stoves. Euromaid has been providing high quality kitchen and laundry appliances to the Australian market for 21 years. It has grown to become one of Australia’s largest appliance brands and is supported by all the major Australian appliance retailers. Fisher and Paykel is a home appliances company founded in 1934, based and owned out of New Zealand. 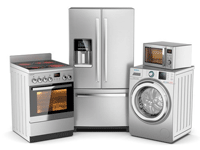 They are extremely popular in Australia and also sell appliances worldwide. Fujitsu is a leading supplier of air conditioning products in Australia. Focusing all of their research and manufacturing strengths into one core area has resulted in the world-class, market-leading air conditioning products you see today. Haier is a Chinese multinational consumer electronics group that sells home appliances in Australia. They also own Fisher & Paykel and Elba. Ilve is an Italian brand of kitchen appliances sold in Australia, with a history of over 60 years. Kelvinator is a home appliance brand selling refrigeration and air-conditioning products in Australia. Kenwood is a home appliance brand selling small kitchen appliances in Australia. Kleenmaid is an Australian owned domestic appliance brand founded in 1984, and is now based in Alexandria, Sydney. LG is a South Korean multinational corporation selling home appliances and televisions to the Australian market. Maytag is an American home and commercial appliance brand owned by the Whirlpool corporation, and have been selling in Australia for decades. Miele is high-end home appliance brand that sells appliances in the Australian market and abroad. Panasonic is a consumer electronics brand selling home appliances in the Australian marketplace. Samsung is a South Korean multinational conglomerate which sells home appliances in the Australian market. Simpson is an Australian home appliance brand owned by the Electrolux group, for which we are an Authorised distributor. Skope is a Commercial Refrigeration brand providing to Australia and New Zealand. Smeg is an Italian manufacturer of upmarket domestic appliances that sells to the Australian market. Technika is an ‘Australian owned, European inspired’ Appliances and Whitegoods brand selling to the Australian market. 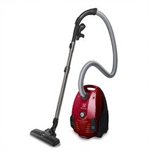 Volta is a brand of vacuum cleaners sold in Australia by Electrolux. Westinghouse is a home appliance brand that sells a variety of different machines to the Australian market. Whirlpool is an American multinational manufacturer and marketer of home appliances, which sells appliances in the Australian marketplace. Subscribe to our Mailing List for Deals and Discounts!